Will it be in english??? And I change the Overworld format to BW overworlds. First to all, actually Ice Silver is developed only in English. Did you see this support bar? The day November 25th. 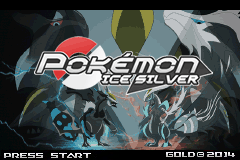 the first demo of Pokemon Ice Silver could be released, but a private demo. Do you like play the demo? It's easy, only put in your signature my support bar and send me a PM before to November 24th, and I send via PM the demo to enjoy it, remember, the first beta could be released the last week of december! Last edited by Zoe Ayamoto; 1st November 2014 at 06:20 PM. Did you prefer the New style or keep the old style?